In 1999, Dr. Caughman was appointed Associate Dean of the MCG School of Graduate Studies, and in 2005 became Dean. 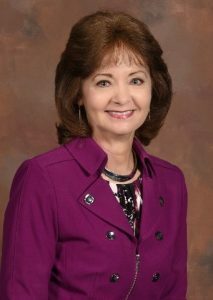 She was appointed Interim Provost of the Medical College of Georgia in September 2010, and became Executive Vice President for Academic Affairs and Provost of Georgia Health Sciences University in June 2011. In January 2013, upon the consolidation of Augusta State University and Georgia Health Sciences University, she became Executive Vice President for Academic Affairs and Provost of Georgia Regents University (now Augusta University). Major institutional initiatives during her tenure as Provost include establishment of the enterprise-wide Office of Diversity and Inclusion, creation of the Division of Institutional Effectiveness, the launch of the Institute of Public and Preventive Health, the launch of the enterprise-wide Leadership Academy, and the successful accreditation and subsequent reaffirmation of the newly consolidated Augusta University by the Southern Association of Colleges and Schools. Dr. Caughman recently led the successful launch of the Augusta University Cyber Institute, and served as chair of the University System of Georgia System-wide Cybersecurity Initiative Consortium, co-chair of the USG-TCSG Health Informatics Initiative Taskforce, and as a member of the SREB Commission on Computer Science, Information Technology and Related Career Fields. Current initiatives include the creation and launch of the School of Computer and Cyber Sciences and expansion of educational offerings and services through collaboration with the US Department of Defense and under formal affiliations with US Army Cyber Center of Excellence and Fort Gordon US Army Garrison Command.